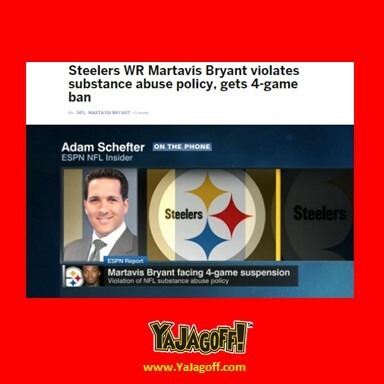 So, new Steelers news: Martavis Bryant now suspended for 4 games. Substance abuse violations. Whether you believe in the legalization of some substances or not does not matter. The law is the law and the rules of the employer, the NFL, are the rules. Hey Steelers, you guys are all over the news. We’re not even through pre-season yet and its going like this? Can you act like you’ve been there before? Thank gawd the Pirates are bailing you guys out for now… and when’s the last time someone said that? Please….pull your $h1t together.. you’re embarrassing us, Ya Jagoffs? Previous articleThe Steelers Now Have Michael Vick!